Our company is a reliable Manufacturer, Supplier and Exporter of Fully Automatic Vacuum Filling Machines from Delhi. Our Filling Machine employs suction method, which is the most efficient and simplest way of filling liquids into bottles. Buyers are free to place bulk orders of the Filling Machines with us and we ensure their timely execution. 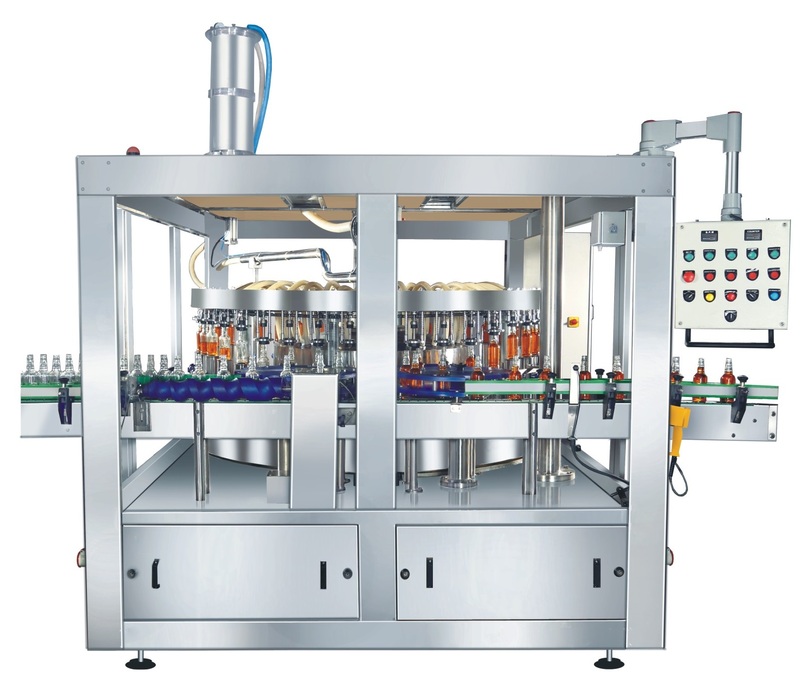 It is a Rotory Level Filling Machine, which employs suction method, the most efficient and simplest way of filling liquids into bottles. Excess liquid is sucked back by vacuum there by renders same level of filling in all bottles. It is widely used for filling non-carbonated and non-viscous liquids e.g. Liquors, Medicines, Household liquids in glass or any rigid bottles. Model Dimension (in mm) Power Requirement Speed for 180 ml.